One of the most pressing resource related issues around the world is the continual reduction in the percentage of arable land. Currently, 37% of land worldwide is considered agricultural, only 10% is deemed arable, or plowable, and suitable for crop production (World Bank Group, 2015). The shrinking percentage of suitable farm land is a direct result of soil degradation, which is attributed to tillage practices and the use of agrochemicals in intensive agriculture. Overgrazing of rangelands, natural occurrences such as wildfires, and non-agricultural human activities such as road salt applications also contribute to the degradation of soils, making mediation efforts cumbersome. Although the degradation of soils is a multifaceted process with a range of negative effects, effects tend to be closely tied with one another making the process as a whole degenerative. The current intensive agricultural systems in place throughout the world aim to maximize production through increased inputs, such as labor and agrochemicals, while reducing waiting periods between crops. Large-scale annual crop production relies primarily on conventional tillage methods such as the moldboard plow, an implement that cuts a furrow slice of soil (around 8 inches in depth). The furrow slice is lifted, flipped, and dropped back down, inverting the soil profile. Simultaneously, this implement forms a hardpan layer of compacted soil beneath the disturbed portion. Both the inversions and hardpans negatively impact the soil’s structure. A compromised soil structure carries its own concerns and at the same time predicates multiple downstream effects. A soil’s structure refers to the arrangement of fine soil articles into groups called aggregates. Many soil activities such as water movement, heat transfer, and aeration are directly impacted by the formation and arrangement of aggregates which results from a range of slow biological, physical and chemical processes. Aggregates are delicate and become destroyed in frequently disturbed soils such as those in annual cropping systems. Destruction of aggregates increases the bulk density of a soil. As bulk density increases water infiltration, water holding capacity, aeration, and root penetration decrease, making it more difficult for crops to access resources essential for growth. The regular application of agrochemicals in cropping systems further diminishes the health of soil. Agrochemicals include herbicides, pesticides, fertilizers, and other soil amendments. One of the main concerns with the addition of these chemicals is their interaction with soil organisms. Soil macro- and microorganisms include bacteria, fungi, and earthworms; all contribute to a healthy plant rhizosphere and provide a range of benefits within cropping systems. These organisms are very sensitive to variation in their environment such as changes in pH, salinity, and the carbon:nitrogen ratio. These inputs represent rapid cyclic environmental shifts to which soil organisms cannot acclimate or adapt to. Instead, the diversity of soil organism diversity is diminished. Soil organisms play a range of roles in the development and maintenance of a healthy soil profile, which in turn affects the growth and development of crops. Microorganisms such as bacteria fix nitrogen, making the largely inaccessible pool of atmospheric nitrogen available for plant uptake. Fungi, like mycorrhizae, form mutualistic associations with plant roots, extending their network of nutrient and water uptake. Larger organisms such as earthworms help to form soil aggregates by creating macropores and producing worm castings. Many insects also contribute to the formation of soil aggregates as well as help reduce the weed seedbank via predation. Healthy, natural soil systems are engineered by a consortium of organisms and by design are able to provide the needs of plants. However, in some cropping systems, this level of provision is deemed inadequate, prompting the need for agrochemicals and at the same time impacting the functionality of the soil. 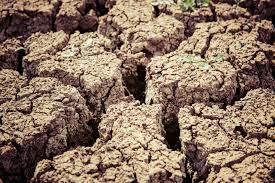 Soil degradation is not limited to artificial systems. There are several factors, both natural and human induced, contributing to the percentage of degraded land around the world, outside of agricultural systems. Wild fires, which occur regularly in arid regions, burn vegetation which help to hold soils in place. Climate change, combined with lack of management in fire-prone areas, has dramatically increased the frequency and intensity of these fires, increasing the potential erosion. Mismanagement and overgrazing of rangelands in dry regions also diminishes soil-stabilizing vegetation, creating the same potential for erosion. In more temperate regions, road salt application during the winter months has become cause for concern as these salts become distributed into the ecosystems affecting both soil structure and soil organisms. The effects of soil degradation are not discrete, often tied to each other in a continuum in which some agricultural practices initiate a predictable sequence of events that ultimately leads to diminished soil health. Conventional tillage methods and the use of agrochemicals seem to be the catalytic events for such series of events in annual cropping systems; affecting soil structure, organic matter content, and the health of soil organisms. These in turn compromise the functionality of soils as the medium for crop growth and development. There is wealth of information on alternative practices that aim to reduce the impact of agriculture on soil health. For more information on soil conservation and alternative agricultural practices please visit the UConn Extension website or contact your local extension office. Despite the evidence supporting the continual degradation of soils due to agricultural activities, there is little consideration for the viability of suggested remediation practices in regard to the effects on food production, farmers and the agriculture industry as a whole. Reducing tillage and agrochemical input is not a solution for many agricultural systems as some crops simply do not perform well in no till systems, while reduced agrochemical input would greatly compromise crop yields. Considering the importance of agriculture to society at large, farmers, who may be the most hardworking and underpaid individuals in the world, utilize available options to maintain soil health while still maintaining a productive and economically feasible operation. From the farmers perspective, this is often represented by tradeoffs. Farmers are not ignorant to the concept of soil degradation or the importance of soil health. In fact, they understand the impact of these much better than anyone else. Operations which use agrochemicals and employ conventional tillage methods still take steps to maintain soil health. Many of these cropping systems utilize conservation practices such as the incorporation of cover crops or selection of organic agrochemical alternatives. Elizabeth Creech of NRCS (Natural Resources Conservation Service) wrote an informative piece entitled “The Dollars and Cents of Soil Health: A Farmer’s Perspective” which depicts many of the challenges farmers face when it comes to maintaining soil health. For more information please follow this link: https://www.usda.gov/media/blog/2018/03/12/dollars-and-cents-soil-health-farmers-perspective. This entry was posted in Agriculture, Education, Environment, Food and tagged agriculture, farm, risk management, soil, soil health, UConn Extension.